These are some of the better Oruro hotels. As tourism to Oruro continues to develop and grow, primarily due to the popularity of the Oruro Carnival, the availability of hotels and hostels in Oruro is slowly increasing. 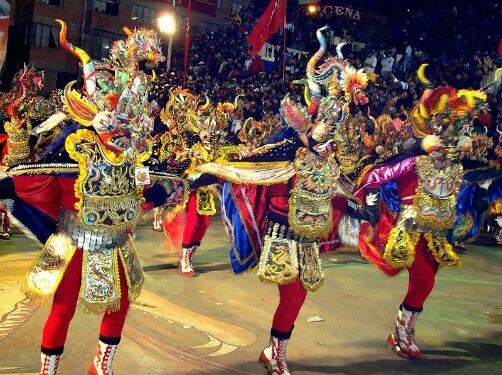 Still, there are more visitors than hotel rooms available at this time; therefore, many families in Oruro open their homes to foreigners during Carnaval week. If you’ve found accommodations in Oruro you'd recommend, tell us in our Bolivia Hotel Review. Below is a list of hotels in Oruro. Check for them on Tripadvisor and Trivago. If they aren’t listed, you’ll need to make a reservation directly.